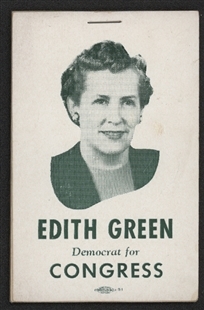 Few women in Congress have left a legacy as substantial as that of Edith Green. 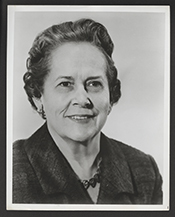 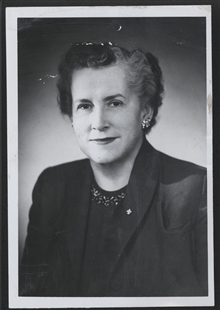 From the time that she was elected to Congress in 1954, through her service in the nine succeeding Congresses, she left her mark on almost every education bill enacted. 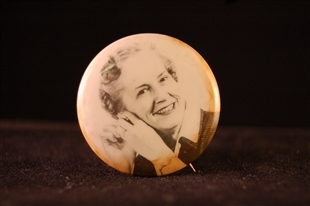 She was so familiar to her constituents that her name wasn’t even necessary on campaign buttons such as this one.